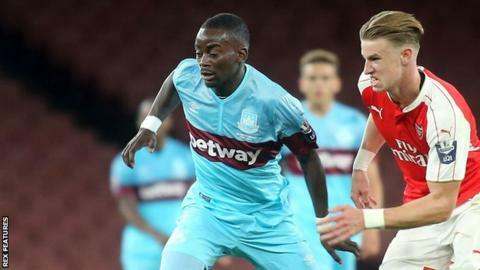 National League side Aldershot Town have signed West Ham United winger Nathan Mavila on a one-month loan deal. The 19-year-old, who can also play at full-back, will be with the Shots until 8 November. Mavila joined the Hammers from Wycombe Wanderers in 2012, but is yet to make his first-team debut for the Premier League club. He was an unused substitute for West Ham's Europa League defeat by Astra Giurgiu in August.